DAVID LE/Staff photo. 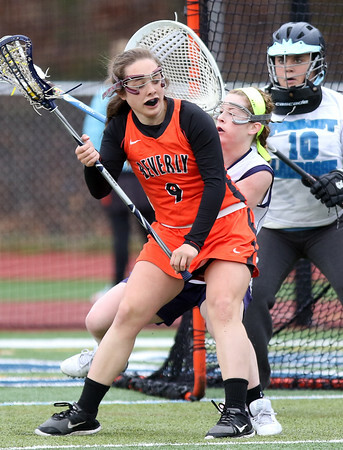 Beverly's Melissa Laganas (9) backs down Peabody's Lauren Wolff and spins and fires a shot past Peabody goalie Gianna Denisco (10). 4/12/16.